Actually, owners Stéphane and Andrea Baldi are quite modest about their new venture. 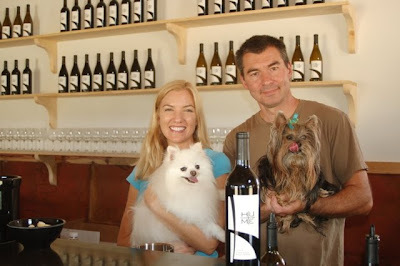 Their website humbly suggests “If you have time, please stop by and say hello.” On July 10, Munchkin and Pomeroy took them up on their invitation, landing four-square at the winery's grand opening celebration. 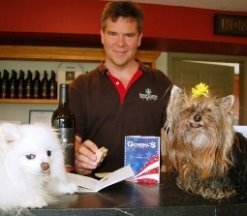 Stéphane told the Wine Dogs that making wine has been in the back of his head for over 10 years. 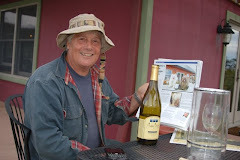 You could say wine runs through the veins of this ex-pat Frenchman. Born in Paris, he moved to the Loire Valley at an early age. 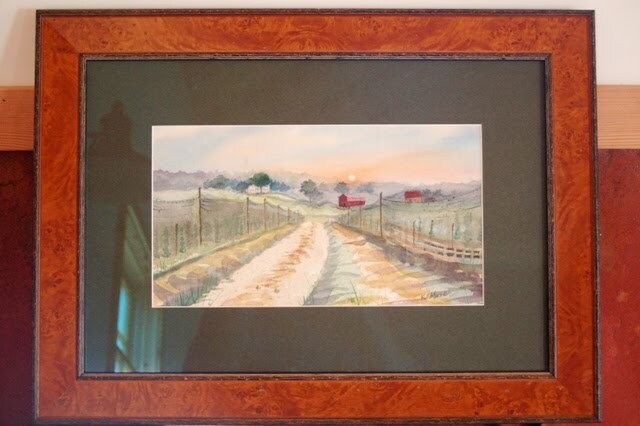 Growing up, Stéphane helped with the grape harvest at the family farm in Burgundy. The hard labor inspired, rather than discouraged him. Stéphane crossed the Atlantic to study in the United States, where French cynicism gave way to American optimism. 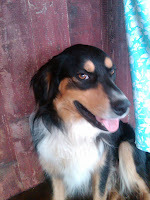 He met Andrea – a fellow social science researcher who shared his dream. 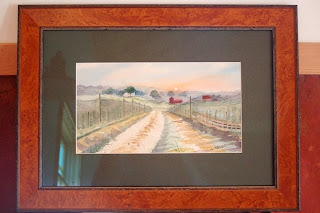 After much searching, the couple found a run-down cattle farm (one of the oldest in Hume), where they were married and planted their first grapes – Chambourcin. Three years later, their labors and their vines are bearing fruit. The property's picturesque white farmhouse has been restored and expanded to serve as a full-time home and office for Stéphane and Andrea. 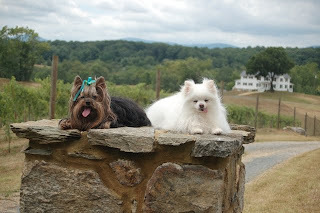 who love their new career as winery dogs. Seven acres are under vine, and Stéphane plans to add six more this year. 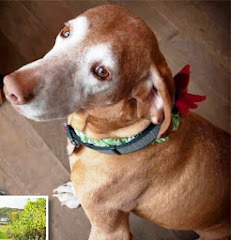 Two of those acres will be Grenache, the first the Wine Dogs have heard of this Southern Rhone classic being planted in Virginia. 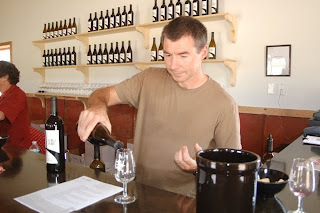 The eventual goal is to produce all of Hume’s wines from estate fruit; grapes for the current vintages come from Breaux, where Stéphane has been working with winemaker Dave Collins. There were a few bumps along the road to opening day. The silo barn Stéphane was restoring for the tasting room toppled under the weight of the snow from the winter’s blizzards (the barn can be seen in the painting by Andrea’s mother, who teaches art). 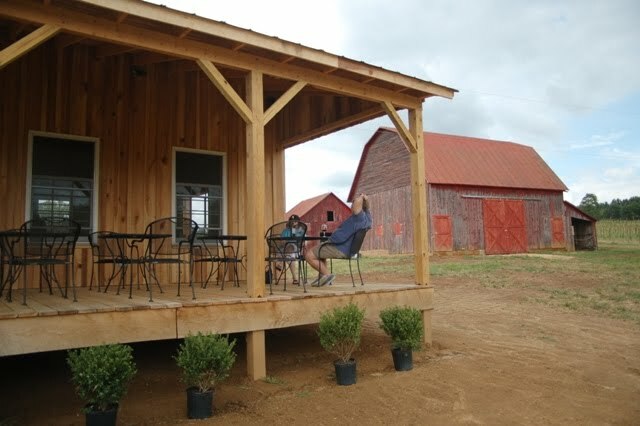 So a new facility was built from scratch, incorporating wood from the old red barn for the bar and using the red tin roof for wainscoting to lend a rustic feel. The newly varnished wood floors had barely dried when the guests begin pouring in, spilling out onto the deck with its pleasant breeze and filling the picnic tables along the vineyard (thoughtfully furnished with umbrellas for shade). 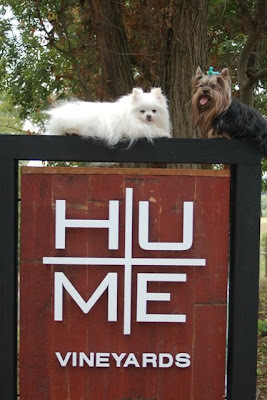 By the end of its opening weekend, Hume Winery had welcomed and wined more than 500 people and quite a few pets. Among them were friends from the Baldis’ Eastern Market days, family (Andrea’s parents – in from Boston), and a few of the new neighbors, including John Delmare from up the road at Rappahannock Cellars. 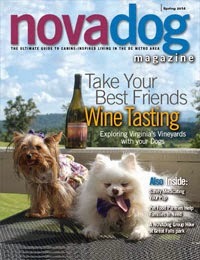 In addition to the Wine Dogs, Molly from Flavor Magazine was on-hand to chronicle the big day. Inside, Stéphane poured four wines. 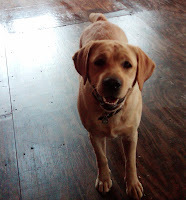 Hume’s Vidal Blanc set Pomeroy’s white tail wagging wildly in approval. The Vouvray-style (Stéphane’s Loire Valley roots in evidence) preserves the floral aroma while the one percent residual sugar lends a hint of sweetness that nicely balances the grapefruit flavors. 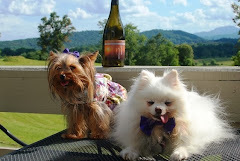 The Wine Dogs found it wonderfully refreshing choice for the dog days of summer. 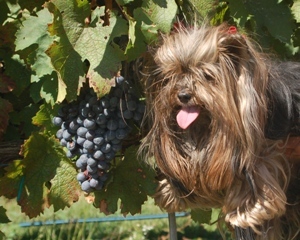 Hume’s Chambourcin is a richer wine than usually seen from this hybrid grape, with a deep purple color and a jammy mouth feel that a Wine Dog can sink her teeth into. 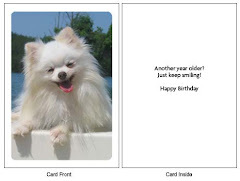 Munchkin gave it two enthusiastic paws up. A second bottling of Chambourcin, from estate grapes, will be released later this summer. 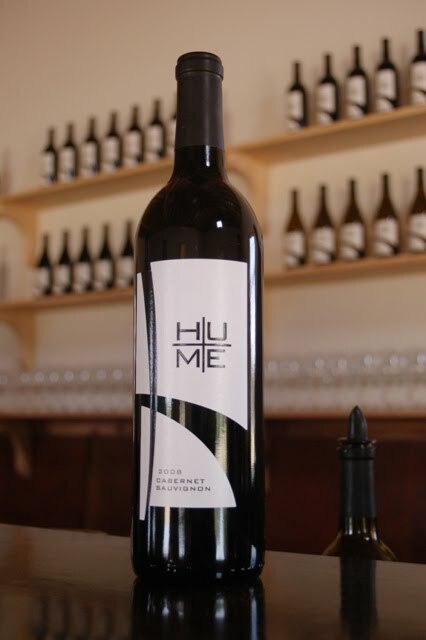 Detour – Hume’s Bordeaux blend – is predominantly Cabernet Sauvignon tempered with Merlot (15%). The result is a rich nose with a hint of tobacco, tannins on the tongue, and a long finish. This is a wine that gets better and better as it opens up and breathes (swirl heavily or decant; better still, lay it down for a couple of years then de-cork and enjoy a pleasant detour from your daily life). 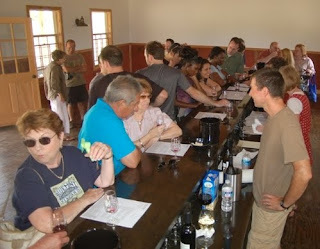 The Cabernet Sauvignon (with 5% Cabernet Franc) is more of a “drink now” wine. It has a garnet hue, and a touch of pepper to add a savory finish. 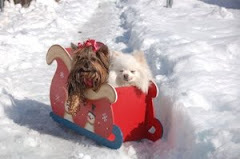 Pomeroy considered it the pick of the litter. 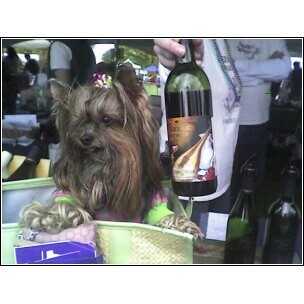 GRRRRR, growl the Wine Dogs. 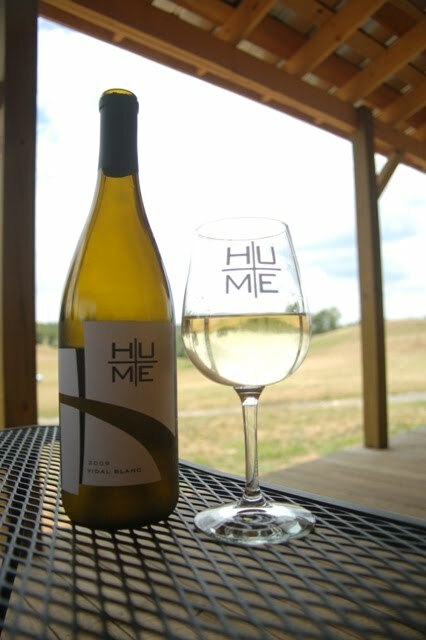 Virginia is THE up and coming wine-producing region, thanks to the state’s growing inventory of top-quality farm wineries like Hume Vineyards. 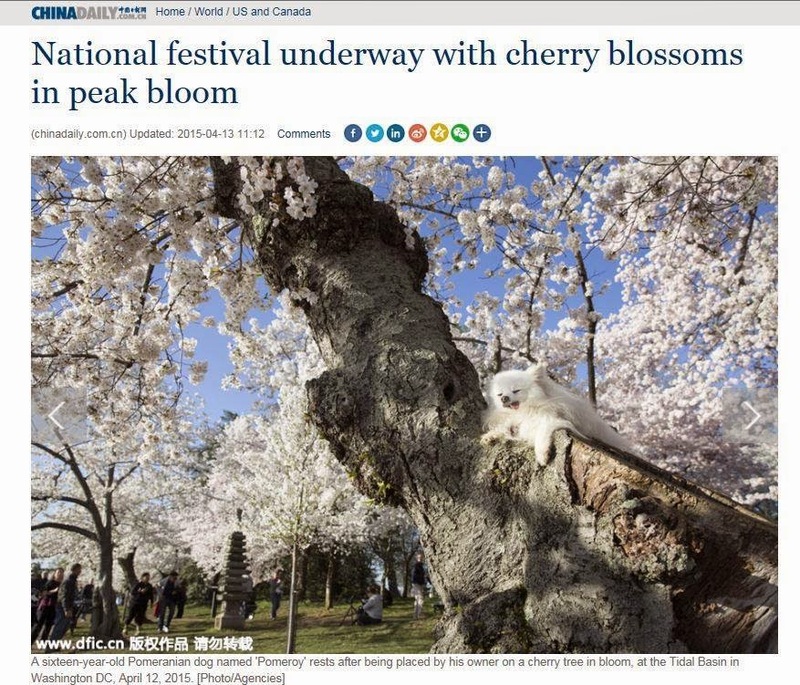 Thanks on a great article! Hoping to see you back soon. Munchkin Goes Rappin' - Festa Just the Ticket!